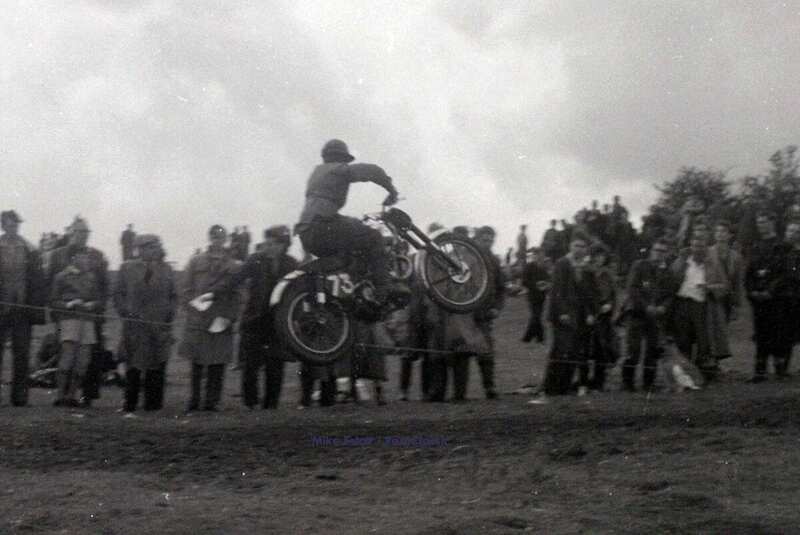 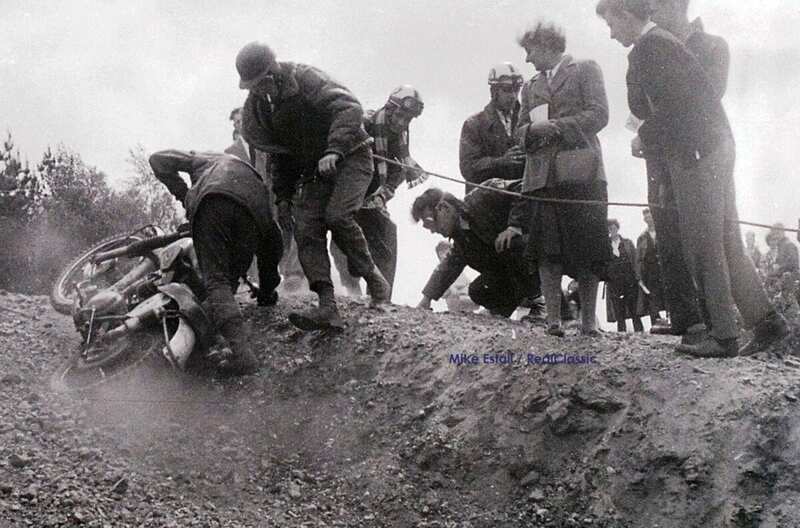 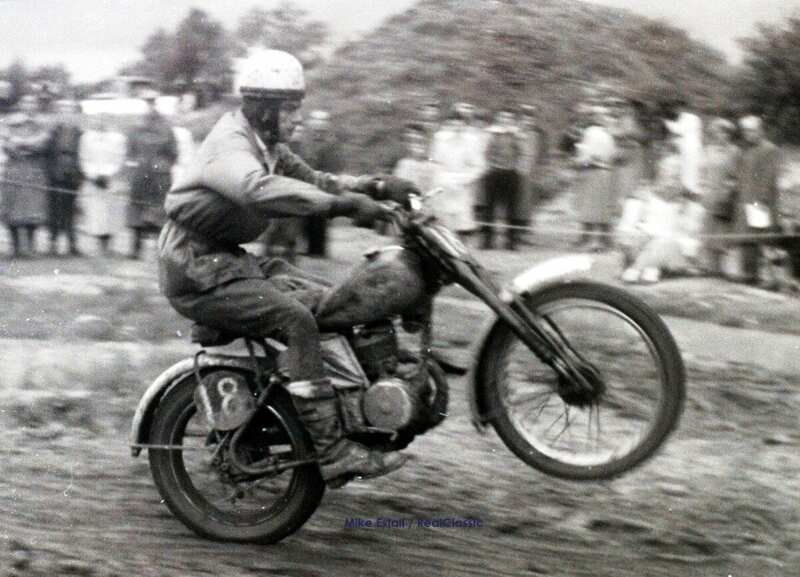 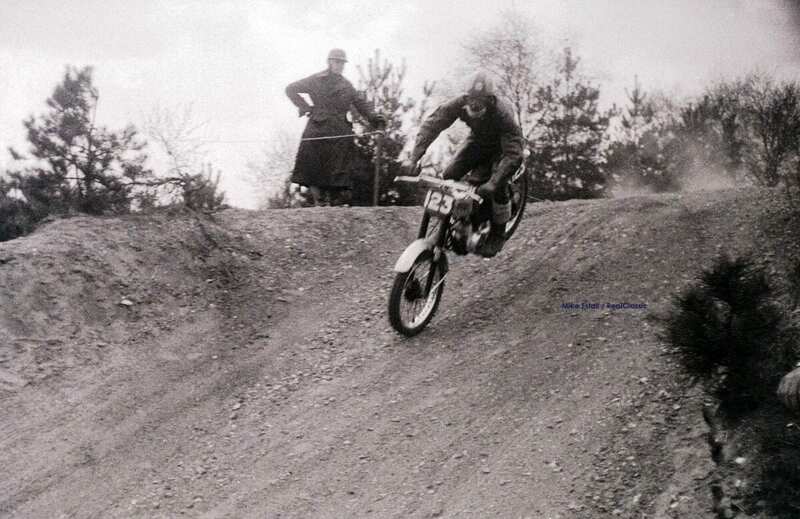 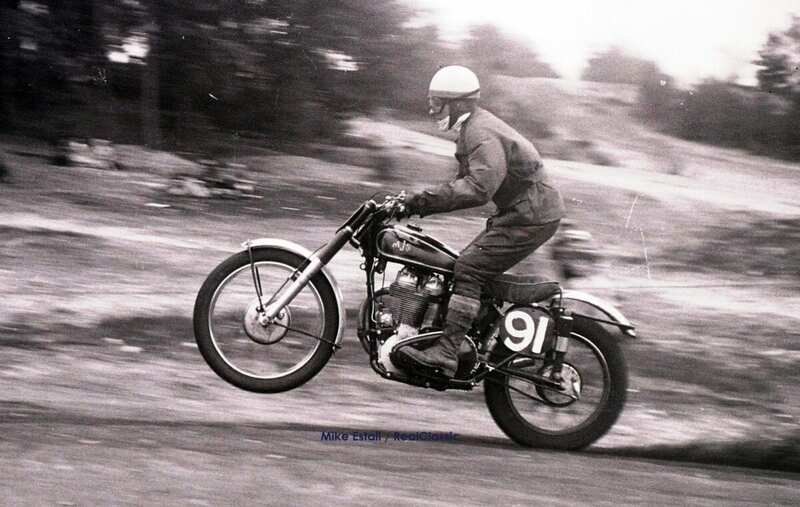 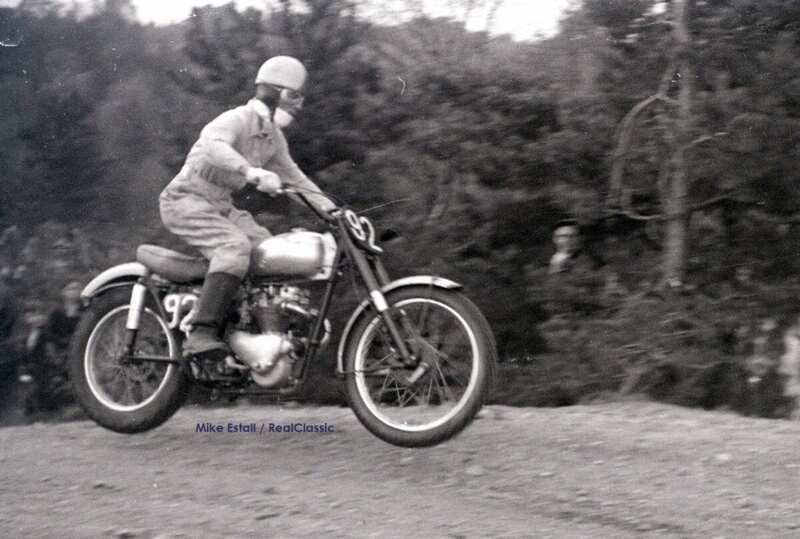 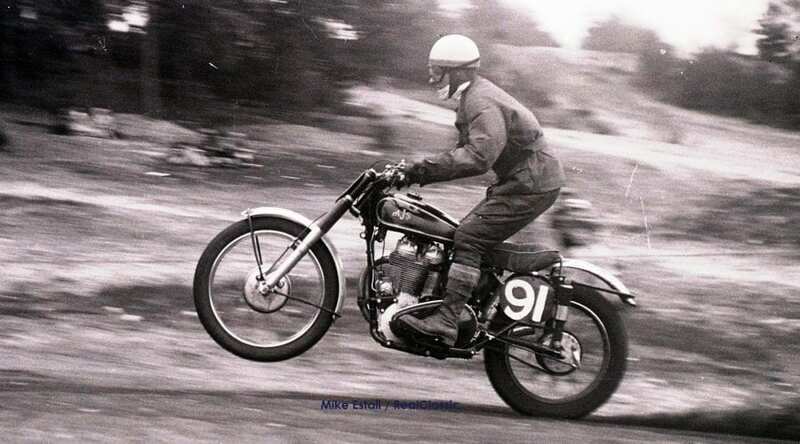 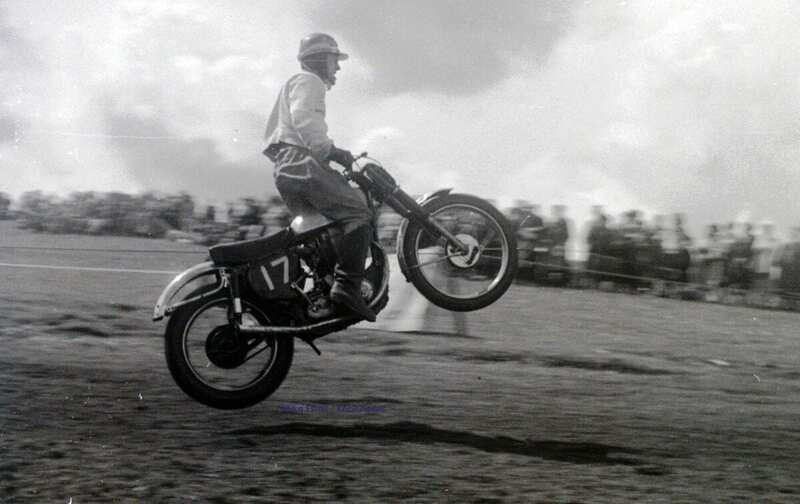 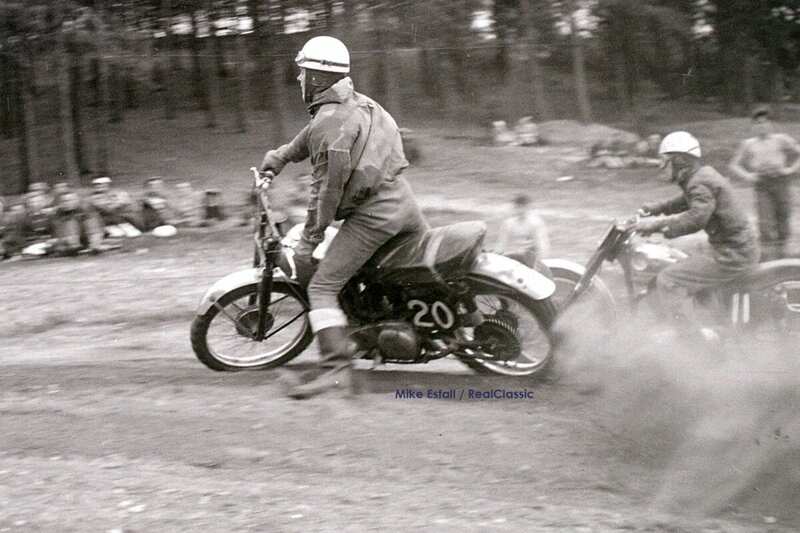 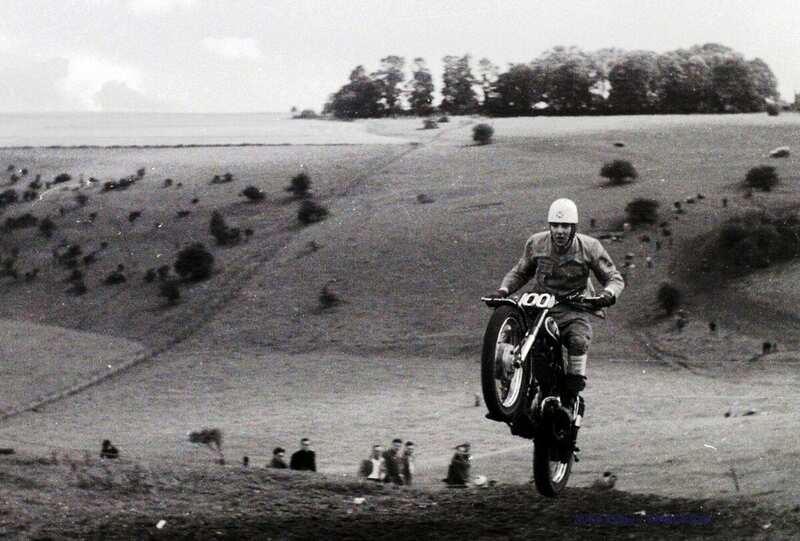 Back in the late 1950s, Mike Estall was a keen spectator at moto-cross and scrambles events. 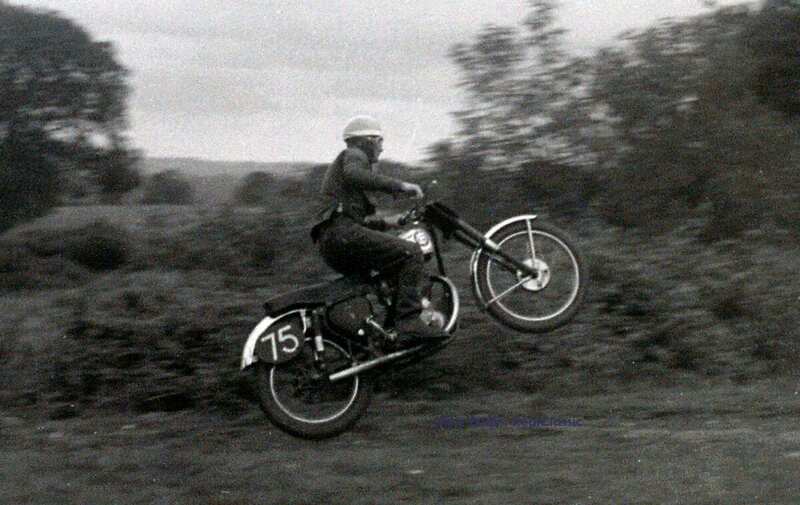 He was also a dab hand with a camera, and has unearthed this selection of classic scramblers in action – beefy British bikes being ridden with what we might call ‘vigour’! 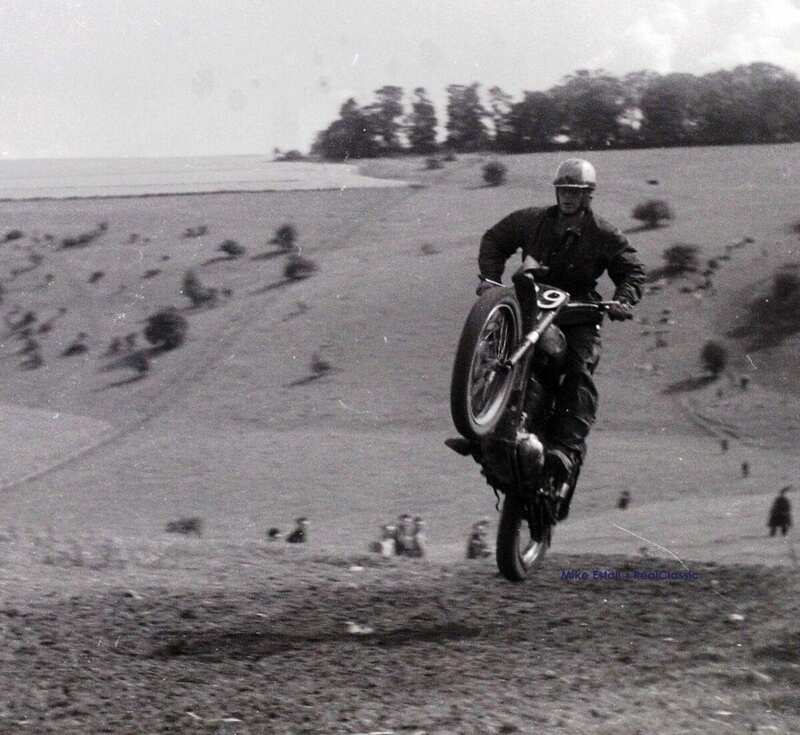 All the photos were taken with Mike’s 35mm Paxette 1 camera – back in the days when everything was shot on film and long before autofocus existed! 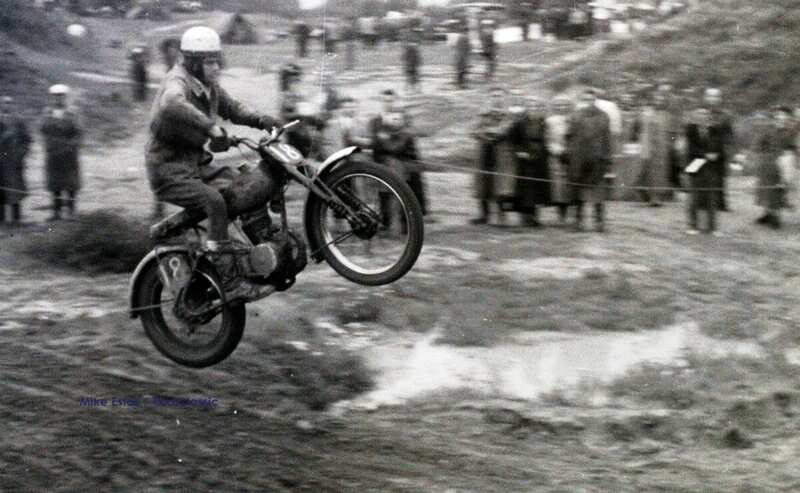 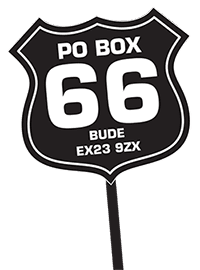 They record various scrambles meetings in 1956 and 1957 at Beenham Park, Harefield, Pirbright, and Streetly; all in Berkshire. 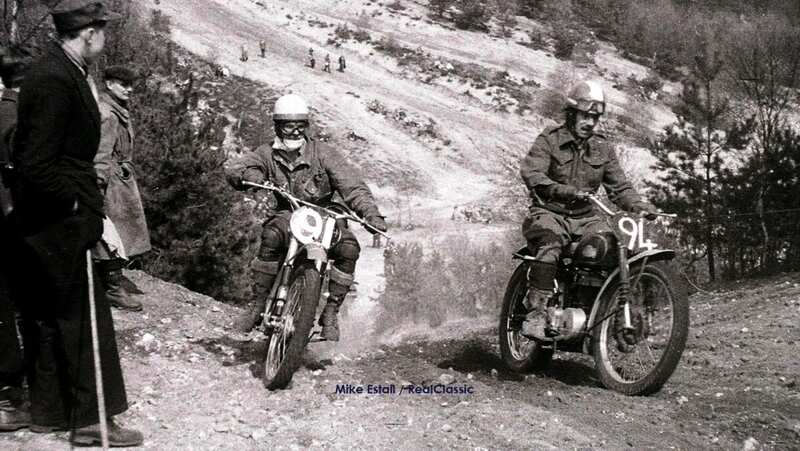 Anyone recognise any of the riders?